Have you arrived here to get some closure and determine if/is Herbalife a scam or legit. Then you have an investigative, Herbalife review at your disposal. A few years back (late 00’s) I got started as a Herbalife independent distributor and felt ready to make changes to create a better life for myself. So, after attending a live seminar in Surrey Hills of Sydney, Australia. I observed and took the bait. From here I began learning how to construct my first real world business following Herbalife’s multi-level-marketing (MLM) model. I was convinced I would somehow scale that financial pyramid to the presidential tier of income, also known by the one percent club. Having no prior knowledge and experience, like minded people in my circles and understanding of HOW business works in general. I reached that inevitable brick wall and questioned my overall abilities at the time. Right about that time, I finally managed to get my first potential client. A lead that contacted leaving a voicemail rather soon after dropping out my own pamphlets around Minto, Western Suburbs of Sydney Australia. I just knew it. I felt powerless and just couldn’t take that next step of making conversation with the lady. Why didn’t I take that next step. Strange time to quit don’t you think? Now that I think about it, I was going through tough times in my life and lacked all confidence, self belief, will power and was suffering from mental illness at that time. Long story short, this is a glimpse into my background as a Herbalife International distributor. I lasted about 2-3 months trying to promote Herbalife Nutrition before conceding defeat. To my dismay, a decade has gone by. A lot has changed for both the Herbalife company and me personally. So I want to outline some general facts that may play an integral role prior to taking that next big leap of joining Herbalife. MLM, also referred to as network marketing. Is considered to be a legitimate business practice in most countries. But to be absolutely sure, check in with your country/state legislation in relation to business code and compliance. A successful MLM scheme will have a much larger emphasis on the sales/promotion aspects of it’s product inventory, versus the recruitment aspects (down line). Herbalife has been scrutinised for many years. Critics claim that Herbalife is nothing more than an illegal pyramid scheme. What are your thoughts? Is Herbalife a Multi-Level-Sales (MLS) platform or a cloaked pyramid scheme? Herbalife is still in operation today selling a significant range of health related products factoring in: nutritional and personal health care, skin and hair care, ageing, energy and fitness, dietary supplements, weight management itinerary. Herbalife could be considered not an illegal pyramid/ponzi scheme due to the fact there is a wide range of consumables, supplements and beauty products overshadowing the MLM recruitment model. 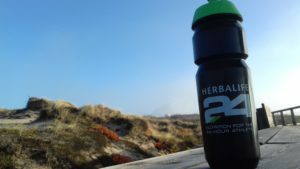 So for now, I’ll give Herbalife Nutrition the benefit of the doubt until the justice system can bring forth new incriminating evidence against the global corporation as we progress through this article. The Americas – 25 independent websites. Middle East/Africa – 10 unique websites. Asia Pacific – 19 unique sites. Herbalife Nutrition is a global weight and nutrition management business. Upon purchasing the international business pack. You can join a global communal network of over 2 million, independent distributors that exclusively sell Herbalife Nutrition part or full-time. Even sporting superstars such as Christiano Ronaldo is/has been known to use Herbalife products as a performance enhancing measure. Trade shares: on the New York Stock Exchange (NYSE:HLF). Obviously, to do this you need wealth, investing skills and a stock portfolio. Independent Distributor: Become your own self-employed boss recruiting and selling Herbalife Nutritional product. Receive educational training provided through hard copied literature, soft copies, up line mentoring and attend global conferences/events hosted by elite figures of the business. Affiliate Partnership: There is little info regarding the Herbalife affiliate program. I contacted Herbalife’s support team internally and yet await a response! Career: Yes, Herbalife does recruit career orientated people regardless of age, gender, race or religion. Offering a competitive salary, medical, dental, casual dress environment and onsite: cafe and fitness benefits. The Federal Trade Commission (FTC) filed a class action lawsuit against the worldwide corporation-Herbalife back in 2016. These events were brought forward due to manipulation and the trickery imposed on vulnerable working class and low income investors. Herbalife Nutrition has been ordered to overhaul the company’s unethical business practices to comply with legislative standards. 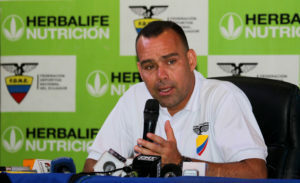 Herbalife’s governing bodies have been instructed to employ an Independent Compliance Auditor (ICA) for regulative purposes for the next several years. According to Herbalife global statistics during the recent years of 2016 / 2017 Within the United States alone. 466,926 (86%) of independent distributors did not receive any commissions/income by promoting Herbalife Nutrition to family, friends and/or unknown leads. These appalling figures caused much backlash in an extraordinary fashion. The FTC received a $200 million dollar settlement which was primarily used to reimburse Herbalife Independent distributors that were misled and duped into the MLM scheme. In Jan 2017 nearly 350,000 consumers received refunds ranging from $100 to up to $9,000 dollars, depending on the nature of the investments made. These are only partial amounts, not full-refunds. Since then, between July 2017 – June 2018 there were only approximately 51,500 United States independent distributors left. 5,000 of these people did not make a sale at all. Leaving 46,500 members that make at least 1 sale. 23,000 of both knew and lifetime members earned at least $140 and the ‘Top 10%‘ 4,650 of these members earned at least $840 and the ‘Top 1%‘ 465 also referred to as the presidents team, earned at least $2,800 minimum per person. The only purchases required to become a Herbalife independent distributor are #1 International Business Pack costing $94.10 #2 The International Business Pack – Super Starter ($124.10) You will then need to purchase products and try to market them for a measly profit. The guidelines state that you can resell Herbalife Nutrition products at full retail price to anyone in the world. As long as your a registered Independent Distributor. You’ll be able to purchase products at a discounted rate of 25%. The more items you can successfully sell will unlock your discounted percentage level to 50% (maximum). So then, first buy a product at a reduced price and then sell those products at market value to whomever you can convince. You can also earn income by recruiting knew members (down line), as long as you are making regular sales promoting Herbalife consumable goods. By selling 10 of Herbalife’s most popular item ‘Formular 1 – Healthy Meal Nutritional Shake Mix‘ at retail price. (2) You then sell these 10 canisters at retail price, which will equate to = $39.90 each. You would receive $399.00 in return. Giving you a profit of = $95.00 and your up line and the business itself will divide the remaining $304.00 accordingly. |Note| by saving your receipts for any Herbalife product purchases made as a direct buyer (not independent business distributor). You will have no more than 30 days to claim your full-refund. Otherwise, exchange your product for another flavor, or related item. You can achieve this if your inquiry meets Herbalife’s refund/exchange policy and guidelines. For distributorship refunds. If you realise Herbalife isn’t the right business opportunity for you personally. By entering myherbalife.com. Fill in and submit the refund form. If it’s your first year in business with Herbalife you can claim warranty and/or a full refund on your independent distribution pack. Also, claim on any unopened Herbalife products purchased within the past 12 months. Herbalife is traded within the New York Stock Exchange NYSE:HLF with net worth sales of around 4.5 billion dollars (2016). Naturally, there will be independent blogs (websites), forums, word of mouth talking about various type of successes achieved by integrating Herbalife into their livelihood. But, for more significant success stories and blogs, why not visit the ‘I Am Herbalife’ sector itself. Read about personal triumphs in a range of context covering – community, nutrition, health, innovation and fitness! The FTC ordered Herbalife to pay for an Independent Compliance Auditor (ICA) to monitor the corporation’s adherence for new measures and restrictions imposed upon the business entity over the next several years. ICA will report any findings to the commission and only the commission can remove or replace the ICA if necessary. Herbalife has to change it’s compensation plan and drastically restructure the business as a whole. Herbalife board of directors have to put more emphasis ‘reward and company growth‘ through the selling of Herbalife products instead of the recruitment element. Otherwise, Herbalife will be nothing more than an illegal pyramid sham. The FTC has sent 350,000 checks to the majority of the victims invested into Herbalife’s Multi-Level-Marketing venture between 2009-2015. Herbalife must be transparent and upfront with realistic earning potential. No longer can it boast about lavish lifestyles and grant patrons the ability to quit their day job to pursue a business with Herbalife. Looking at the sales statistics over recent years would make earning life changing income extremely difficult for the average Joe. There is a lot of learning, work and persistent effort necessary to make your role as an independent distributor a successful one. With the recent changes enforced upon Herbalife Nutrition. You can only wonder if investing into Herbalife is a good decision. Unless you are already a fully fledged member and have made financial success for yourself. I don’t see the point in investing into this international company anymore. I have learned a lot during the creation of this post. I must admit though, at the initial stages of researching and regardless of my previous experiences with the company. I was under the assumption that Herbalife was more or less legitimate. Because the FTC’s involvement had bent a different angle on this matter. I now can proudly feel humble by not sticking around with Herbalife. Giving up was the best unforeseen decision I could have made. Now that I think about it, right back at the time of that Surrey Hills event. I felt like such an outcast or outsider. I remember trying to find the location of the conference. And walking by was this captivating looking business dressed man that appeared unbelievably over confident and inhumanly happy walking down the street. I remember just smugly chuckling in laughter at the blowhard for whatever reason. Inside the event, everyone seemed so weird and wired into this Herbalife practice. It was as though they were consciously trying to manipulate knew recruits (like myself) into the business whichever way possible to cement a bigger down line. Sending profits straight to the top of the food chain. These days, MLM companies are starting to become heavily investigated. Recently, I investigated My Own Business Education (MOBE). 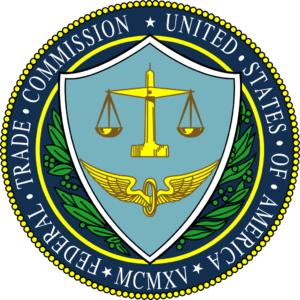 MOBE suffered a similar fate when it lost it’s court battle with the FTC. It’s in my opinion. If you want to be in a business. Your better off doing business for yourself! I have a quality method that is minuscule in costs, though it takes years of developing your intellectual asset into a trustworthy authoritative resource online. All that is required of you is to have something your passionately interested about and the will to never give up! What are your thoughts regarding Herbalife’s deceptive tactics used over the recent years? Have you ever become a Herbalife Independent Distributor and felt victimised or scammed? Do you sit on the other side of the fence and support Herbalife? 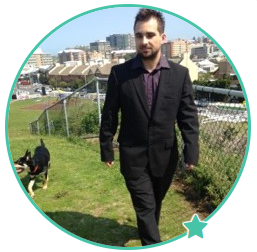 What are your experiences promoting the Herbalife dream?